State Farm and other insurance companies have been selling homeowners inadequate coverage to make more money. 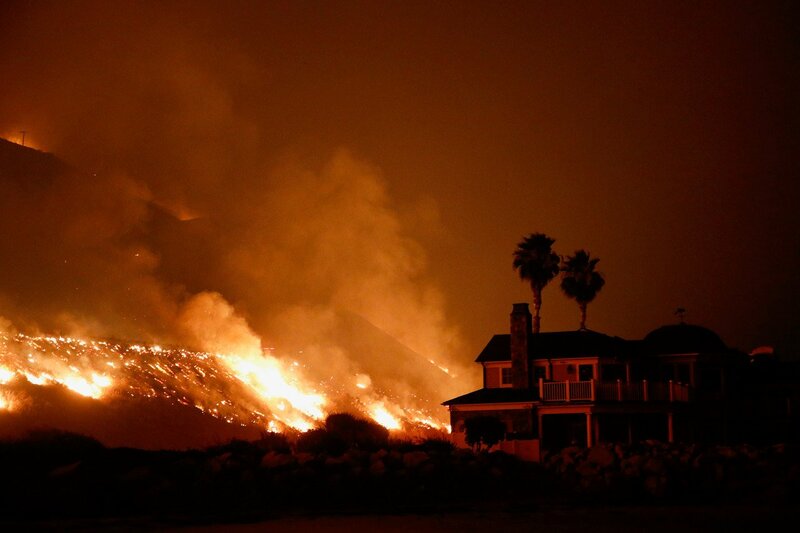 The wildfires devastating Bel Air, Ventura and Southern California's canyons are destroying homes in their path. Unfortunately, many of those homeowners are going to find that when they try to rebuild their homeowners' policies may not cover the real costs. It's a sad cycle that happens after too many wildfires, include the historic devastation fires wrought recently in Sonoma and Napa Valley. Ever since the Oakland wildfires struck with fury more than two decades ago, homeowners insurance companies, led by State Farm, have tried to shirk their responsibilities to victims. When they sell policies with so-called "replacement" cost coverage, they often don't sell homeowners as much coverage as they will need to rebuild. Insurance Commissioner John Garamendi fined the companies in the wake of the Oakland fires for abuses, but the industry went to war with subsequent commissioners to avoid regulations requiring that they provide homeowners with the true cost of replacing their homes. When State Farm and its brethren lost that battle earlier this year in the courts, there was some hope that when the next fires hit more homeowners would be better prepared. Unfortunately, that's not the case. The Napa and Sonoma fires earlier this fall showed State Farm and its ilk haven't changed their tune. Homeowners complained of being underinsured. State Farm even imposed a moratorium on some consumers buying more coverage when it was shown thats its replacement cost limits were way too low. The insurance commissioner of California has the power to command companies to offer adequate estimates of what homeowners really need to rebuild. Today insurance companies that provide such estimates must do them correctly under the recently upheld regulations. But no insurance commissioner, including the current one David Jones, has required the companies to proactively warn customers about their risks. That must change. The devastation of these fires, which will only grow in coming years, should not be compounded by the devastation of filing an insurance claim that doesn't adequately cover rebuilding your lost home.